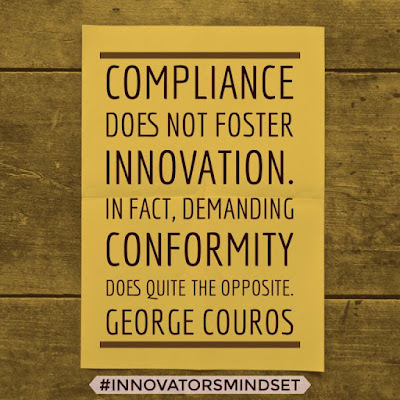 Compliance: I often think of it as a bad word in education. Just like the quote above, I believe that it often leads to conformity and squashes student voice. Compliance has been heavy on my mind for the last few months. Where is the line between a high-quality learning environment and compliance for compliance sake? I want my students to be comfortable. I want them to have the freedom to be themselves in my class. I want them to move when they need to. Lately it seems like those wants are clashing with the learning needs in my classroom. Let me start by explaining a little bit about my classes. I teach reading and math enrichment groups in a traditional elementary school. My classes are similar to 45 minute middle or high school class periods, although there isn't a passing period. Students often trickle in for the first five minutes as they make their way from their main classrooms. We start class at assigned tables (it helps me take mental attendance and gives students a built-in discussion group) and begin with mental math or an estimation that requires students to share their thinking. It doesn't matter to me if students sit or stand (or even wiggle and dance) at their tables as long as they participate in their discussions and respect everyone's space. This year I have a few students who aren't staying at their table or withdrawing from table talk when a best friend is at a different table. I want students to work with everyone, not just their friends and homeroom classmates. I'm left questioning if these procedures that support my goals are worth the frequent power struggles. I have to admit that the old saw "give them an inch and they'll take a mile" has crossed my mind a few times this year. 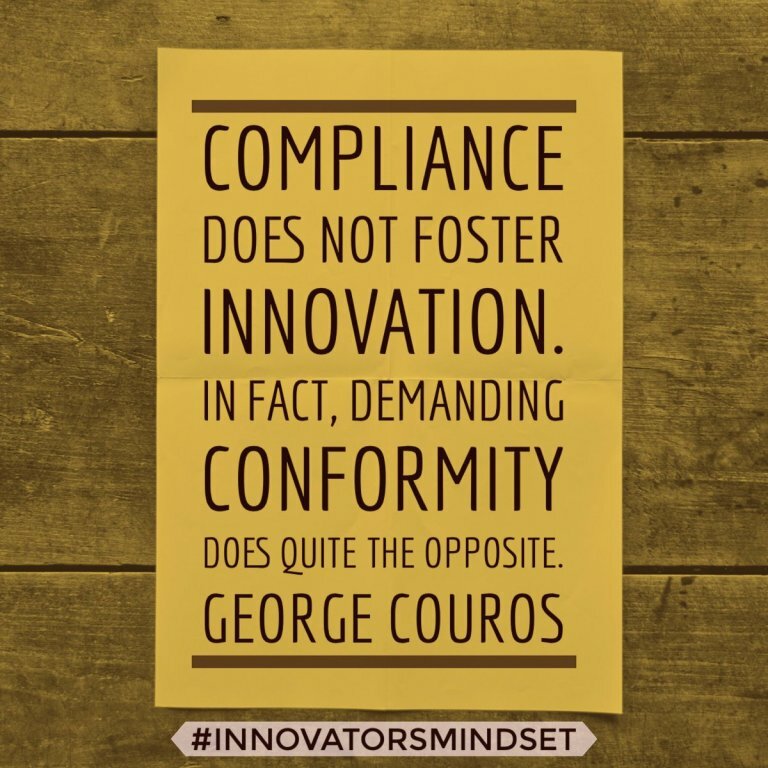 However, reading The Innovator's Mindset strengthened my resolve to give my students the inches, feet, and miles they need to be independent learners and innovators I know they can be. In these last couple months of school, I plan to increase my efforts to build relationships with these students and give them opportunities to use their strengths. Hopefully we will get to a point where these students trust me enough that they will buy in to balancing their personal freedom with their responsibilities to the whole classroom community. Although I am going forward with my plan, I still question rather it is the right path. 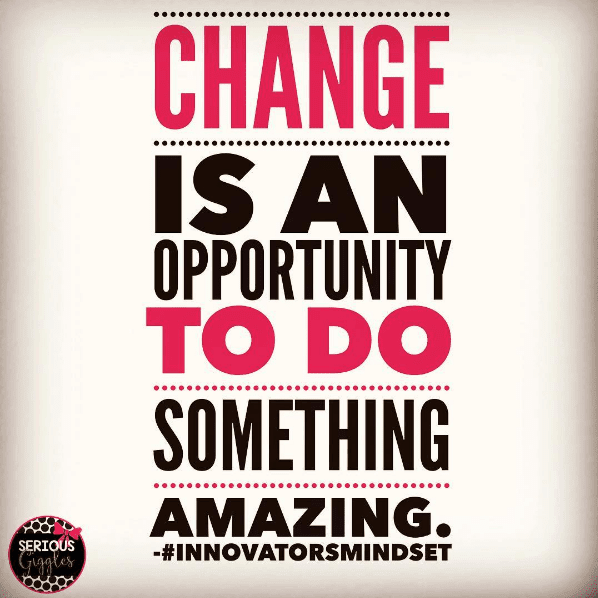 Next year is a new opportunity to structure a classroom where my students can become innovators. All of the professional development I have done this year, including my school's book study on That Workshop Book, a visit to a classroom with a successful reading workshop, my own reading of Mathematical Mindsets and The Writing on the Classroom Wall, numerous Twitter conversations, and #IMMOOC are bouncing around in my head. 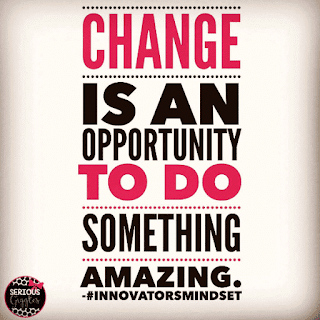 It's time to make some changes, and "change is an opportunity to do something amazing"!